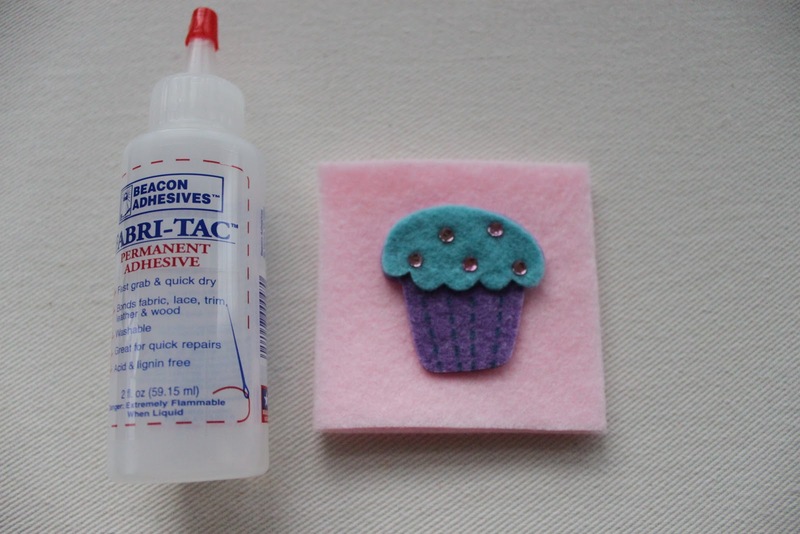 I received several inquiries about the cupcake matching/memory game I blogged about with our letter C activities so I thought I would put together a little tutorial. The cupcake squares are soooo simple to make I almost feel silly posting a tutorial, but here goes!! 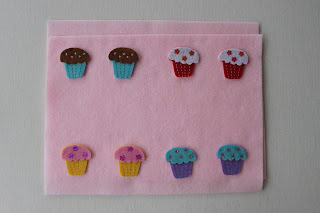 Next, evenly space your cupcakes on your felt. 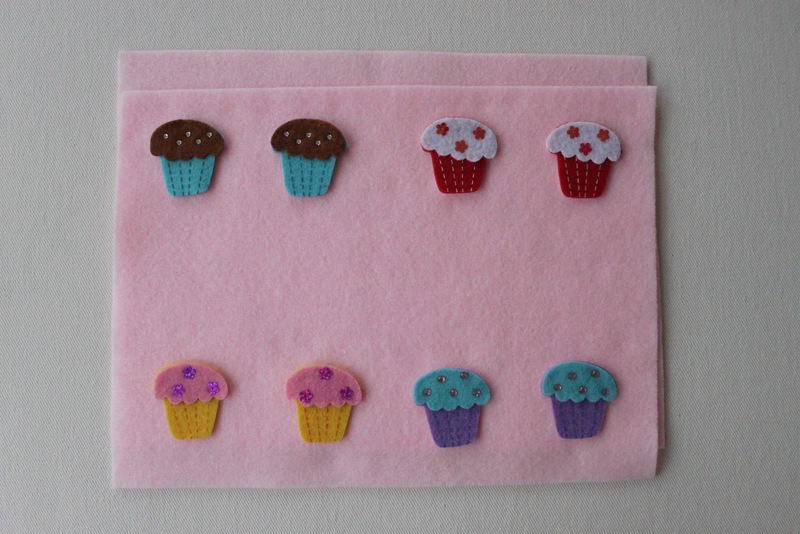 As you can see, I was able to get 8 cupcakes per sheet of felt. Do not remove the paper backing yet. Then cut out your squares. My squares are roughly 2"x2", although I didn't measure them. I basically just left the cupcakes on the felt, tried to eyeball what looks "centered" and then cut. After I cut my first square I used that as a pattern for all the remaining squares (as shown in the picture above). You should have 16 squares once you are finished (if you are making 4 different pairs of cupcakes). Next, remove the paper backing from your felt cupcake sticker, add a tiny dab of fabric glue and center your cupcake in your felt square. The only thing left to do is to sew your felt squares together. I used my sewing machine since I only had to do straight lines (I'm awful with anything else!! ), but they would be super easy to hand stitch. Hope you enjoy and please drop me a line if you make them for your little ones. I had NO idea the cupcakes were actually stickers! They look like you made them from scratch....I am headed to Michael's today! Thanks for the idea! How adorable! Where did you find the felt cupcake stickers? Those are adorable! I will definitely be making them soon! Love it! Thanks so much for sharing. @Kristen...I got the cupcake stickers at Michaels. They were over by the felt supplies in a little bag of about 20. What a great idea! Thanks for the great tutorial! 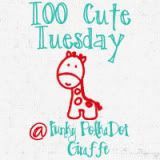 I would love for you to stop by and link up to my Ten Buck Tuesday link party! This is so cute!!! Seriously, so adorable. What's your email address and I'll email you directions for the table decorations and stuff from my post! 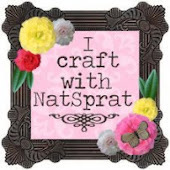 :) You can email me @ nataliebrimhall@yahoo.com! This is so darling! I was going to tell you I'd featured you on Wednesday's Wowzers, but you already saw!! Thanks so much for the inspiration! I stumbled this link. I really love this game!! I am having a giveaway on my blog. $35 credit + free shipping from Paige Holliday designs to get any one custom designed trendy backpack for your tot. So cute!! 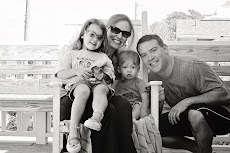 I'd love for you to come link up on Wow Me Wednesday! This is super cute and I know some girls who are obsessed with cupcakes right now! Thanks for sharing. Cute idea. These would work well in a quiet book. This is adorable! I'm sharing it on FB! We did a cupcake matching game the other week but it was nothing compared to this. This is adorable!! This is so darling, and would be perfect for my little sweet tooth princess! So cute! I placed it on my blog Cupcake Delight. Thanks!